The literary legacies of Margaret Oliphant and Anne Thackeray Ritchie have been overshadowed by those of their female forebears and descendants. Yet the legendary women who came before and after recognised these author’s talents. 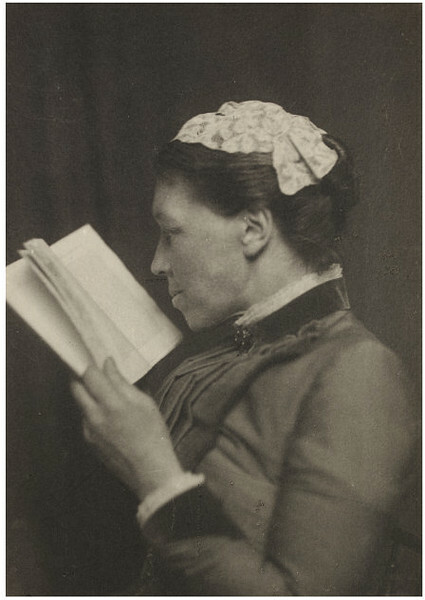 Charlotte Brontë singled out Oliphant’s first novel for praise and George Eliot claimed that, with the partial exception of Trollope, Ritchie was the only modern novelist she cared to read. Virginia Woolf, related to Ritchie through her father’s first marriage, described her step-aunt as ‘a writer of genius’. 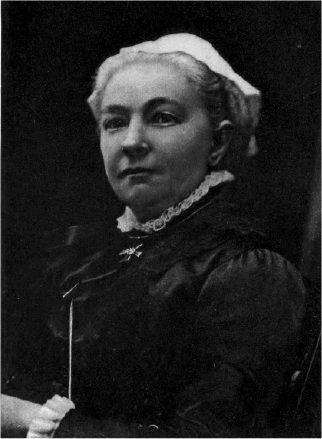 Margaret Oliphant. This image is in the public domain. Oliphant and Ritchie recognised each other’s gifts too, communing on the page long before they met in person. Indeed, the twenty-three-year-old Ritchie, who had published The Story of Elizabeth anonymously in 1863, received her first ever review from Oliphant. The praise caused Ritchie’s father, the famous novelist William Makepeace Thackeray, to beam with pride. The endorsement meant a great deal to Ritchie too. She had considered the older author a torchbearer ever since her governess introduced her to Christian Melville, which Oliphant had penned at the tender age of seventeen. When their paths eventually crossed, during a holiday in the Swiss Alps in the summer of 1875, Oliphant was a widow in her mid-forties and Ritchie a thirty-something singleton. Their literary reputations were already well-established but their personal lives were in disarray. As much as their shared vocation, it was a sense of mutual sympathy that drew the women together. Richie found herself the brunt of snubs from fellow guests, who regarded her as an eccentric spinster. Oliphant – indignant that Ritchie’s sister laughed along at this casual cruelty – decided there and then to take the younger author under her wing. During the rest of their stay at The Bear Hotel in Grindelwald, Oliphant singled out Ritchie for her own brand of sisterly attention, abrasively taking her aside on the terrace each evening for rambunctious conversations beneath a bough of clematis in full flower. Oliphant also had worries of her own. Following the death of her husband and the bankruptcy of her brother, she’d become the sole breadwinner for both families. Ritchie, who’d received a generous inheritance from her father – the wealthiest self-made author of his day – felt especially aware of her own privilege when she witnessed just how hard Oliphant had to work in order to make ends meet. Oliphant’s output was prodigious by any estimation: 98 novels, and over 50 short stories, 25 books of non-fiction and 300 articles. Ritchie saw at close quarters the discipline required to write for a living – quite at odds with her own haphazard approach to creativity. Keen to alleviate the financial pressures on her new friend, Ritchie persuaded her brother-in-law, a magazine editor, to purchase two stories – each one generating the bulk of a year’s income. Oliphant later returned the favour: when she was appointed editor of a series, she immediately commissioned Ritchie to write one of the biographies. Anne Thackeray Ritchie. This image is in the public domain. But personal tragedies cemented their friendship even more than professional triumphs. The first of these occurred just a few months after their Alpine holiday, when Oliphant had invited Ritchie to Windsor for an overnight visit. While there, Ritchie received a telegram summoning her back to London. Her sister had died, suffering a massive eclampsia seizure, and the unborn baby had also failed to survive. These female authors stuck together for better for worse, for richer for poorer, in sickness and in health, and for decades they remained the closest of friends. Ritchie visited regularly during Oliphant’s final illness, sitting at the bedside of her lifelong friend and making her last goodbye in June 1897 to the woman in whom she had found ‘one of those people who make life’. Margaret Oliphant and Anne Thackeray Ritchie shared an intrepid approach to travel. They were also both keenly aware of their indebtedness to the female authors of the past who had laid the way for their own literary and literal adventures. Inspired by both these qualities, we’ve decided to take pilgrimages to the homes of some of the authors we’ve featured on this site.